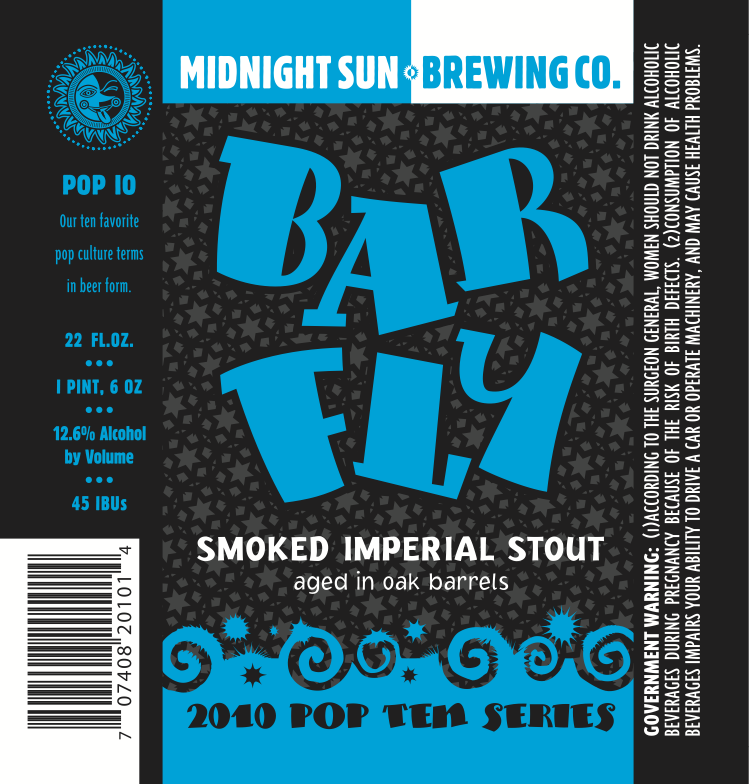 From Midnight Sun – Smoked Imperial Stout. Part of the 2010 Pop Ten Series. 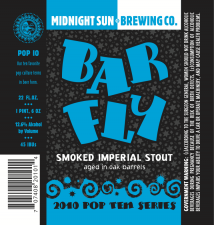 Midnight Sun Brewing – Midnight Sun Barfly – 22 oz. bottle poured into a goblet. 12.6 % abv. Appearance: Pours a very dark brown with a creamy tan cap of froth. Leaves behind a brown coating. Aroma: Smokey roasted malt, bourbon and dark fruit. Taste: Light roast, bourbon, dark chocolate. Finishes rather sweet and dessert-like. Mouthfeel: Thick, creamy and warming. Overall: Pretty fantastic, of the same ilk as Berserker. The smoke didn’t carry through to the flavor as I had hoped, but it’s still a home run in my book of beer stats.